Famous for its stunning surf beaches, Kuta is located in southern Bali and is the region's largest tourist destination. Kuta has so much to offer and families looking for quality accommodation will have no shortage of options to choose from, all within close proximity to restaurants and entertainment. Younger travellers on the other hand, will enjoy the many water sports Kuta has to offer as well as great value accommodation and best of all, Kuta's infamous party reputation. 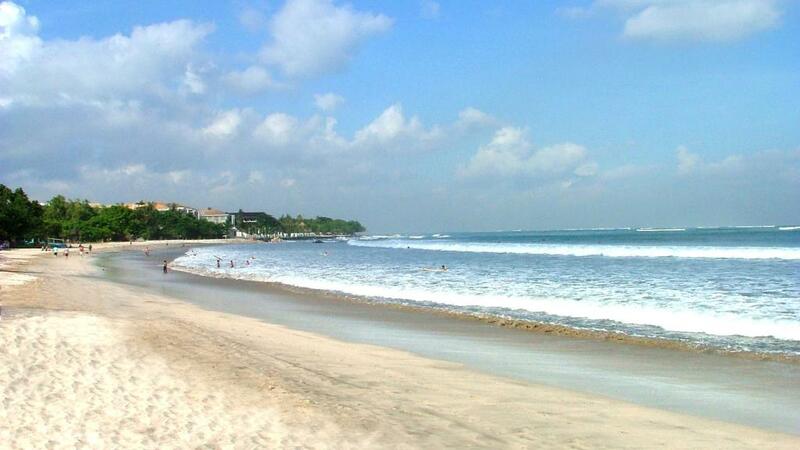 The five kilometre stretch of beach is arguably the best beachfront in Bali. Safe and well-maintained it is an excellent vantage point from which to view Bali's spectacular and world-renowned sunsets. Surfing, shopping and partying are the three main events in Kuta, but there are also a number of other interesting attractions so you're sure to find something to suit everyone. The Hard Rock Hotel is one of Kuta's most popular tourist attractions and is definitely worth a visit. But if you're feeling a little more adventurous Kuta is widely regarded as a surfing hot spot. Because of the lack of dangerous rocks and coral, it's also an excellent place to learn to surf or for those just starting out. Of course if you're looking for something a little tamer, Kuta offers spas by the dozen. As Kuta is the most competitive place in Bali, prices are the lowest so for just a few dollars you can be lying back and enjoying a relaxation aromatherapy massage, body exfoliation or refreshing treatment. Shopping is one of the biggest drawcards to any area of Bali, but Kuta in particular is a hub of popular surfwear/sportswear stores. Big brand names like Volcom, Rip Curl, Rusty, Surfer Girl, Billabong and Quicksilver are all available at prices 30% to 50% lower than you would pay at home. Bali lies just south of the equator and experiences a tropical monsoon climate. The weather is Bali is characterised by two distinct seasons, wet from November to March and dry from April to October. The dry season features hotter temperatures whereas humidity is higher in the wet season. During the height of summer, cool breezes keep the average annual temperature at a balmy 30C (86F) perfect for enjoying the island! Kuta is a population and accommodation dense island so the best way to get around is a combination of walking in the small lanes and using metered taxis. Renting a motorbike is another popular mode of transport with tourists and for the more adventurous why not try hopping on the back of a local scooter? These scooters, called ojeks, are a fast and cheap alternative and as they are always looking for a passenger, negotiation is easier and more successful. They are a fun way of getting around the island for an authentic Bali experience but are not for everyone.